Do you have and use a smartwatch? Smartwatches are a weird little niche. They try to strike the right balance between stylish, functional, and geeky, but most still struggle with technical limitations. Sure, there are a few awesome models out there, but they don't seem to be picking up as a profitable business just yet. Some users find them expensive, others can't see the need for them, and there are those that bought one but gave up on using it a couple of months in. Yeah, of course, there's also the group of users that enjoys their smartwatches and keeps using and upgrading them. That said, we thought we'd ask you where you stand with smartwatches — have one? Using it? Do you have a smartwatch? Do you use it regularly? Gifted to someone . But don't have one myself. Two Android ones: a TAG Heuer Connected as main watch and a Huawei Watch 2 for the gym. Funnily enough, I purchased an analogue watch too, thinking that I don't necessarily need a smartwatch constantly and now it gathers dust in my drawer. Maybe the reason is that the TAG Heuer is such a great everyday watch (irrespective of its smart capabilities). I also has previously used Connected gen1 too but trade it with TAG for their mechanical watch because in the long run it value will degrade like hell. Now using Huawei Watch 2 too. 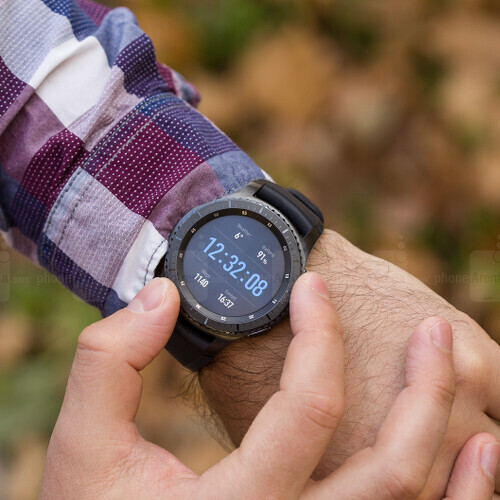 Have many smart watches, from Androidwear to Samsung Gear1 and S to pebble to a number of Kickstarter smart watches. Currently, using a Fitbit Charge 2. Pretty happy with it. I'm using an Amazfit Pace. Before that I used a Garmin Fenix 3. I'm still waiting for the perfect device for me that combines great battery life and a compact but stylish design. I'm hoping Garmin will deliver on this due to the great pricing I'm able to get on their devices. Same here. I wear it like once or twice a month, if I remember to. I wear it regularly. Gear S3 here. I have 2, but one is collecting dust. The other one I am using it daily (really using it, not just to tell time). Am I the only one who doesn't see the poll? I'm rocking the Gear S3 frontier every day. I use it for fitness tracking, samsung pay, notification center, calling uber, making phone calls, and as a watch. Nope. Haven't found the need for one. The only reason I wear a regular watch is because someone bought me one & I didn't want to hurt their feelings. Gear S3 every day. Charge every 2 days as a fairly heavy user. Gear S3 Frontier everyday and very happy with it. I have one. It was cool but I hated that I felt so connected. Getting spam callers and then the buzzing on my wrist for each one was a pain. It was also a pain for people who send multiple texts. I got sick of it so it's in a drawer. I would love to give it away but it's not in good condition. gear S3 frontier, 2 days and a half heavy usage. I'd actually like to get a Garmin fitness tracker with smart watch capability. All I really want is notifications along with swim/biking tracking and HR checks, actually running apps from the watch seems like nonsense and impractical with such a small interface. I had all 3 of my Gear S models. The original, S2 and S3. I gifted my original Gear S and I have my S2 and S3. I only wear the S2 on occasion, but the S3 is my default. Nope. I'm too old I guess to get into the whole smartwatch thing. I've worn a watch since the early 70's. Even had an LED watch back in the day. My current Casio Wave-Ceptor, keeps great time, has all the watch features I use, battery will last FOR YEARS, and it was less than 100 bucks. Given time, if/when the smart watches come down to that level, I might consider one, especially if they can improve the battery life. I use an LG Watch Urbane 2nd Edition LTE daily, it has a 570mAh battery, bigger than any other smartwatch, and lasts 3+ days with LTE on. It also has an 1.4" OLED screen, bigger than any other smartwatch. It's probably the best smartwatch ever made. "It also has an 1.4" OLED screen, bigger than any other smartwatch." Hey, the original Gear S rocked a 2-inch display. So, just chill with your 1.4 inches LG Watch Urbane 2. I'll consider one when they get the battery life to where it needs to be. Have a gear 3 and it is great. I really like having service on it so I can leave my phone in my locker at the gym. Also great for notifications especially when someone texts or calls so I can see quickly if I want to respond or not. I had a Gear S3 Frontier but the novelty wore off. All the notifications and vibrations were a contant distraction. I sold it on eBay. I don't think I'm going to get another but I won't say never. The poll should have included an option for those did have a smart watch then stopped. I wished I could buy one, but they are so expensive & I don't have any money for one. It drives me crazy as I love watches. I'll contend myself with my $100 Tommy Hilfiger. I was really interested in the future of smartwatches, especially Pebble, cause the rest of them are trying to make a "phone on a wrist", while it should be just a "remote for the phone".